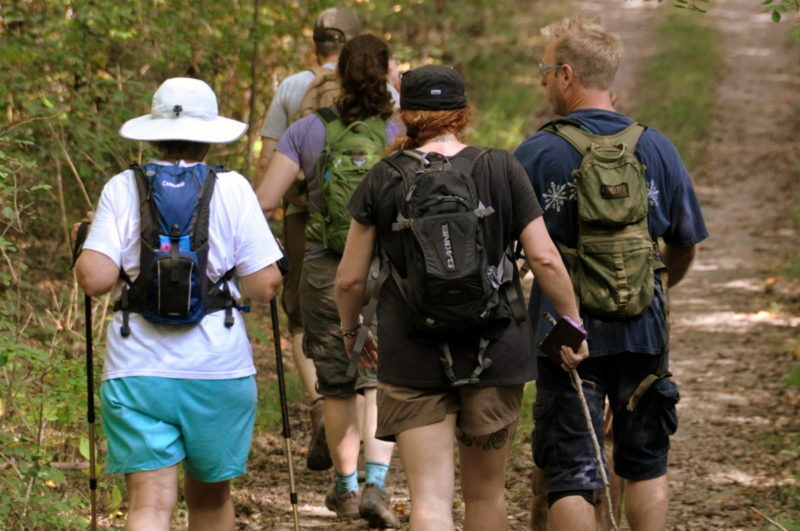 Hikers explore a trail at Grey Flats near Beckley, W.Va., in part of the new Piney Creek Trail System. Hikers, bikers, and runners in growing numbers are venturing onto woodland trails in the new Piney Creek Trail System near Beckley, West Virginia, according to developers. The system’s Grey Flats trails area, adjacent to Beckey’s YMCA soccer complex, is being used by as many as 100 people daily, weather permitting, according to Gary Morefield, project leader for the system. “When you count the runners from local schools and bikers, hikers, and walkers out there every day, you’re talking about 100 people some days,” Morefield said. Despite the traffic, there’s peace and quiet to be found in remote parts of the 10 mile system, he says, and new trails will soon be built. One of West Virginia’s leading grassroots trail projects, the system developed in 2013 after Morefield and other proponents shared ideas about a network that would follow the Piney Creek Gorge south from the New River Gorge National River. Morefield began shoveling into the rocky rim of the gorge near the soccer fields later that year, opening a path to Ship Rock, a local landmark that only hikers and hunters had seen. Others individuals and groups, including the Piney Creek Watershed Association, joined the effort, providing time, muscle, and finance needed to open 13 additional trails. Fifteen bridges and more than a dozen benches, picnic tables, and directional signs have been installed across the network at Grey Flats, an area of level tableland that borders the gorge of the Piney Creek to the west. Trails have since been opened to waterfalls, through tunnels of rhododendron, and to the ruins of the Beckley Mill. The trails are chiefly easy for hiking, biking, and running, though the grades that descend from the flats into the gorge can be moderately steep. 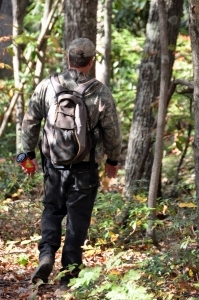 Morefield says geocaches have also been hidden in several locations, and rock climbers are beginning to explore the cliffs and boulders along the trails. Other system trails are being opened along the opposite wall of the gorge near the Beckley-Raleigh County Airport, though that part of the system is unfinished and has not seen much use yet, Morefield said. 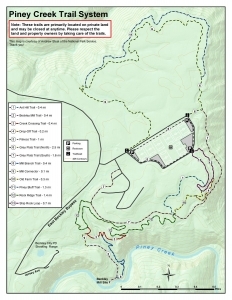 Eventually a Piney Creek Gorge Trail will extend from the Grey Flats area to the airport and will follow the east flank of the gorge to the mouth of the creek on New River where plans call for it to join the National Park Service’s trail system. Select for larger map file formats: PDF and ZIP.